This question would have to be one of the most asked questions at our clinic. Whilst this is an important question, the reality is it’s a really hard one to answer accurately until you have seen a Fertility Specialist. Once this has happened they can identify exactly what you need and make a treatment plan accordingly. Once we know what treatment plan has been recommended, we can then provide you with an estimate of costs based on your particular needs. What Is an All Inclusive Package? Recently we have been asked what are All Inclusive Packages? These packages are where patients pay a set price for a specific number of treatments e.g. 1 IVF cycle and 4 Frozen Embryo Transfer (FET) cycles. Whilst it may seem great, like everything it needs to be researched, questions asked and looked at with caution. Fertility Solutions base their costs on a ‘user pay’ system, that is patients only pay for what it is they need and use, keeping treatments more cost effective and affordable. Our suggestion to everyone embarking upon fertility treatments is ASK QUESTIONS. Fertility Solutions may in the future, offer patients an “all in one packages” but, if we do, it will be well researched, based on best practice principles with the patient and their finances being the priority. What Is My Treatment Going To Cost? Whilst this is an important question, the reality is it’s a really hard one to answer until you have seen a Fertility Specialist who can tell us exactly what you need. Once we know what treatment has been recommended we can then provide you with an estimate of costs based on your particular needs. What Impacts The Cost Of Treatment? These are only some of the aspects that will determine your final out of pocket expense. Below is a basic cost guide of some of the treatment options offered at Fertility Solutions. You must keep in mind that these are the minimum out of pocket costs. There may be additional costs associated with your procedure such as Hospital, Clinic Sedation, Fertility Specialist, Anaesthetist, Medications and some Lab Procedures. *Conditions apply and pricing is subject to change. Pricing effective from 16th April 2018. Fertility treatments and associated fees can be pretty complicated to explain and each patient’s cycle can vary depending on needs and specialist recommendations. During your follow up meeting with the Fertility Solutions team we will discuss costs for your individualised treatments and will provide you with a written estimate based on the plan that your specialist has devised for you. At Fertility Solutions we recognise that it can be difficult for some to find money for their fertility treatments and feel that money should not dictate whether you can start or extend your family. That is why we are now offering eligible patients flexible and interest free payments (conditions apply). Fertility Solutions have partnered with ZipMoney and are now able to offer flexible terms and interest free payments. Patients can access up to a $15,000 Zip Money account limit. (conditions apply). If you would like to know more about payment options or see if you would qualify please call Fertility Solutions on 1300 FERTILITY. It is important that you register for the Medicare Safety Net. It is your responsibility to register so that you can access maximum rebates. If you don’t register, then the out of pocket expenses may be more than the Basic Costing Guide above. Click for more information about the Medicare Safety Net. If you would like to learn about additional information regarding costs that could related to fertility treatment please click here. The above information is a basic guide of what some treatments costs. If you are considering fertility treatment we offer all patients a $0 upfront no financial commitment consultation with a Specialist Fertility Nurse. Click here to schedule your free consultation. Your consultation can be over the phone, via skype, or face-to-face at our clinic. All consultations are confidential. 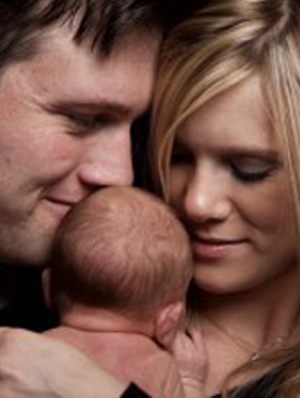 Learn about Bulk-Billed* IVF Treatments offered at Fertility Solutions. *Conditions apply to bulk billed options click here to learn more.